Following the news that a possible UFO was spotted off the coast of Kerry before heading north, PSNI have confirmed that they would like to speak to the driver or drivers of the vehicle for multiple motoring offences. The list of misdemeanours include failure to stop at traffic lights, several speed limit offences, failure to hold a legitimate driving licence and lack of MOT certificate. An Garda Síochána admitted they are monitoring the situation at present but currently state they will not seek contact for the recent incident as they’re not sure themselves about speed limits on country roads. PSNI have described their bread haul as ‘significant’ after raids in houses and vehicles in the Derrytresk area discovered a highly sophisticated bread ring operating since the recent bad weather began. Over 600 white loaves, 300 soda farls and dozens of wheaten bread, brown bread and pancakes were confiscated over a three-hour period this morning with over 50 arrests. 28 griddle pans and open fires were smashed in a no-nonsense approach from police who described locals as ‘not that hungry looking’. Meanwhile, the local poitín black market remained untouched. Fitzhanna also revealed how two constables bought 8 bottles of plum poitín off him and refused to arrest him after his bread making sideline was smashed to pieces by the same men. Police were called to an East Tyrone drinking establishment after several punters became embroiled in a brawl over a comment made by a regular customer. Eyewitnesses claim several chairs were smashed over heads in scenes which one drinker said resembled ‘some old bar-room brawl you’d see in the pictures with John Wayne in it‘. The incident escalated after local general expert Leo Lyons claimed that ‘there was a quare stretch in the evenings already’ which was vehemently disputed by three fellow drinkers at the Nally Stand bar in the centre of the town. Police confirmed that the brawl spilled outside onto the roundabout and fighting numbers were doubled in size when drivers heard what they were arguing about. Scenes finally settled after the priest was called for and asked to confirm whether or not there was a quare stretch in the evenings. After some thought he declared that there wasn’t a quare stretch really, which appeared to end the riotous scenes apart from another man with a beard who threw a packet of half-eaten KP Salty Nuts at Fr Fay’s vestments as he walked back to his carriage. Seamus McSorley, a 48 year old plumber from the locality, admitted he’d mistaken his own reflection in the passenger window of a taxi for that of a rival punter during a five-minute aggressive argument in broad daylight. This wasn’t Mr McSorley’s first arrest for public disturbance this year. In April in was reported on here that he was taken in for questioning after arguing in a threatening manner with an election poster in the village. Following the demolishing of the Coalisland Barracks this week, the Mid-Ulster council have launched a competition to the public as to what should replace it. Already there have been over 300 suggestions ranging from a new cinema where the currency is jam jars to a corn mill that actually sells corn. Early indications show that the idea which has garnered most votes was the suggestion of the erection of a massive hand with the middle finger raised, pointing in the direction of Brackaville, closely followed by a Coalisland Fianna Centre of Excellence which rival wags from Clonoe have renamed the Coalisland Centre of Continued Mediocrity after yesterday’s heavy defeat in the county final. The new initiative has created great buzz around the town and surrounding areas although rumours tonight suggest that the Planning Department may be considering a new PSNI station. The idea of an 18-hole crazy golf course full of old bombed out helicopters for the more nostalgic ‘Islanders was thrown out as contentious. Aromatherapists and perfume scientists at Queen’s University have admitted to being at a loss to explain the commercial success of a Fintona-based company’s dung-scented toilet roll product. The product, Keeper Clean, has sold over 200’000 units since its launch last week, making the new company, Red Hand Wipes, a profit of £o.5m after tax. 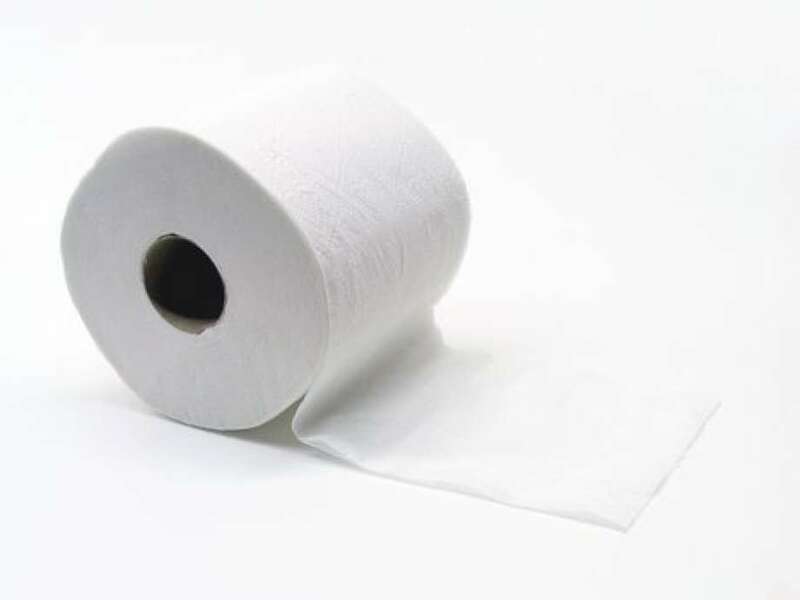 Shopkeepers have reported sporadic fights in stores as far away as Strabane over the Keeper Clean Dung-Scented Toilet Roll as shelves are bare within minutes of a refill of the product. PSNI have urged shoppers to stay calm as the company have promised another five million units of the product are in the final stages of production. The toilet roll can be bought for £5.99. Due to recent media reports of PSNI officials speeding in their work motors, a police car was unable to catch a man suspected of using agricultural diesel in his Ford Mondeo for over four hours around the Tamnamore Roundabout. The Police Service of Northern Ireland have come under fire recently after it emerged that hundreds of their vehicles have been caught speeding over the last 24 months. 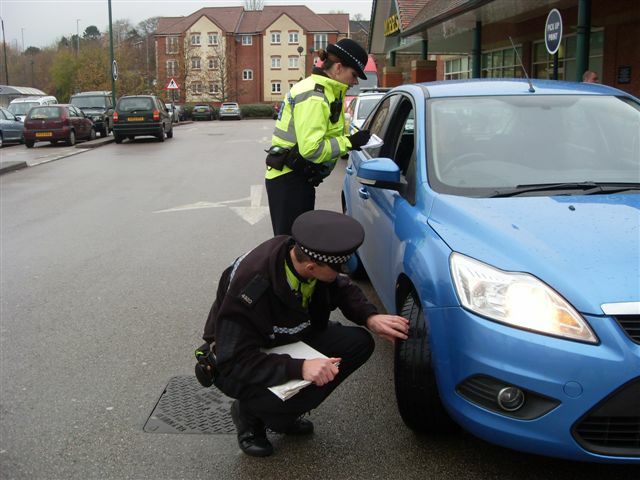 In the aftermath of the report, police cars have been under strict orders to observe normal speeding restrictions no matter what incident they are attending to. The Mondeo finally sped off down the M1 after the PSNI vehicle made a move towards the service station to top up on fuel. Police HQ refused to comment on the incident but admitted to infiltrating the new social media site set up by drivers to warn other motorists of diesel dippers in the area. Posting as ‘Cooking Oil Expert’, a media-savvy police official befriended several dipper dodgers, one of whom being the suspected Mondeo driver. ‘Mondeo Lover’ recently posted a message on the site saying “ring a ring ‘o roses, ye boy ye” – a direct taunt to his pursuer on the roundabout. A source close to the PSNI’s Public Disturbance Department has revealed that every home in the county is to receive a letter outlawing spontaneous outdoor line-dancing battles which appear to be on the rise in the run up to Easter. The impromptu challenges, which appears to have replaced traditional fist fights and brick throwing sessions, appear to be popular now amongst the 18-35 age group and often take place in alleyways and ramparts in remote country areas after midnight, often fuelled by a cocktail of alcohol and tobacco consumed at discos. The Tyrone Line-Dancing Committee have condemned any shows of spontaneous outdoor line-dancing challenges under the cover of darkness and have pleaded for people not to demean the good name of their discipline. PSNI officials have confirmed that recent budget-tightening constraints have resulted in many officers using ghd Deluxe hairdryers and just guessing how fast cars have been going by counting in their heads how long it took for each motor to get from tree to tree or sometimes a lamp post to a fence. PSNI officials have denied they’re to commence a new cost-cutting breathalyser initiative which sees officers sniffing the breath of suspect drink drivers and guessing how many pints they’ve had and then getting them to sing ‘I Will Survive’ into a karaoke machine. 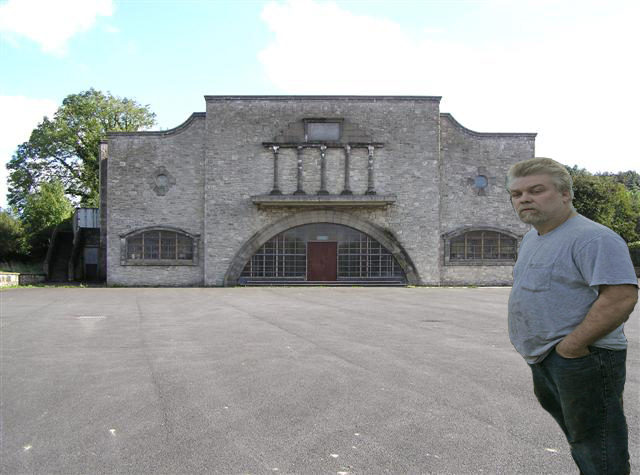 In a highly unusual development, the imaginary friend of a Dromore bachelor is currently being questioned in an Omagh detention centre over failure to return tax forms since 1994 as well as neglecting to pay TV, dog and gun licences and other minor misdemeanours. Felix McGinn (48), who turned his friend ‘James’ (also 48) in at 5pm yesterday, revealed he was finding it hard to maintain a friendship due to the mountain of skulduggery his childhood partner was indulging in since the 1994 ceasefire. A PSNI Fraud Squad spokesman has confirmed that questioning has been ‘difficult’ with the imaginary suspect regularly refusing to answer questions or even appearing in the room. A Brackaville builder has described the actions of the PSNI as ‘petty’ after he received a speeding caution whilst pushing a wheelbarrow down to Coalisland to get its tyre fixed. A PSNI spokesman confirmed they issued a £90 fine to a 58 year old Brackaville man claiming to be ‘Dr Who’ for travelling at 8mph on Barrack Street in a restricted speed section of the road. Gillis has 90 days to pay the fine and has been banned from operating wheelbarrows or any other small hand propelled vehicles. 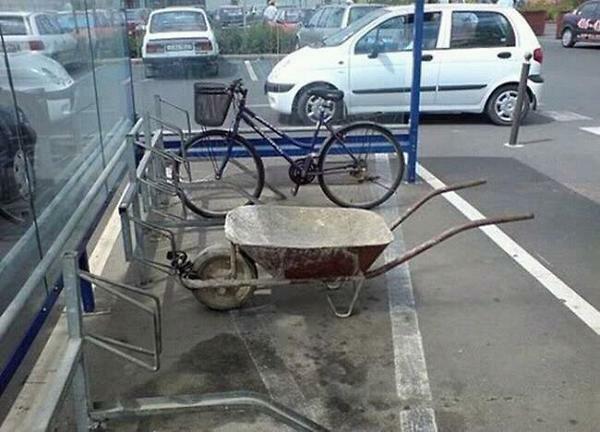 The wheelbarrow in question has been confiscated for the duration of the fining period. An East Tyrone school has been accused of applying Draconian tactics after it emerged that black puddings were the latest cause of hyperactivity in children according to a report someone read in a magazine in Canada. Kiltytresk P.S. reportedly searched the bags of all 200 pupils in their large rural school for the foodstuff after their Board of Governors banned the traditional blood sausage from their premises. A local journalist confirmed that over 40 pupils were caught with black puddings hidden in the lining of their school bags with some pupils stuffing it down their socks in a ploy to evade detection. 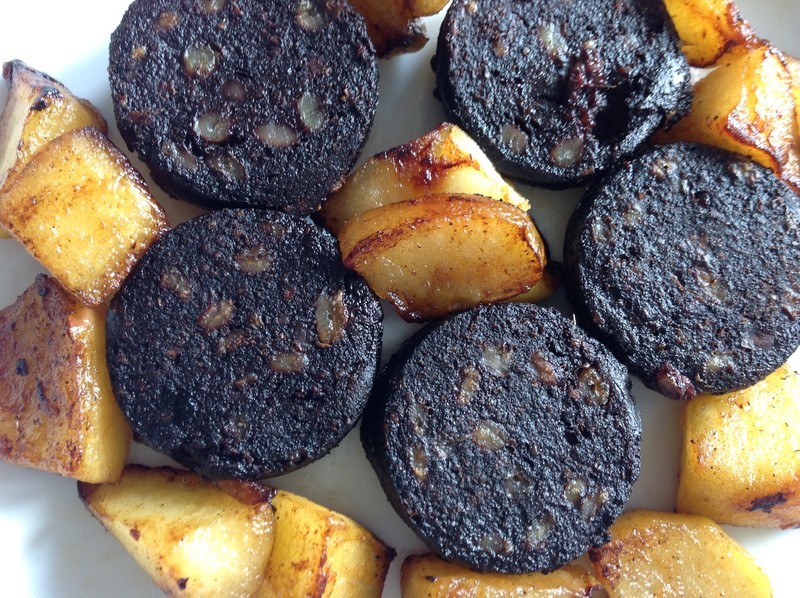 A recent survey in the Kiltytresk townland showed that, on average, over 89% of children under the age of 16 eat up to ten black puddings a day. PSNI officials have warned underground black pudding vendors outside the school that they’ll shoot on sight. The PSNI have warned people in East Tyrone to be wary of a man with a strong South Armagh accent going from door-to-door selling bits of the sky above their houses. The fraudster, who calls himself ‘Francie’, claims to work for ‘The Sky’ and attempts to sell 16-square feet of sky for £322 in a one-off cash payment. Police have worked out that he targets houses with no satellite dishes in the hope that the residents don’t know much about how Sky TV works. Adkins revealed her suspicions to the police after she spotted a whole flock of blackbirds sitting on her chimney the next day in her recently purchased sky bit, without a care in the world. The PSNI have received 32 calls from house-owners in the greater Coalisland area who also fell for the sky deal. 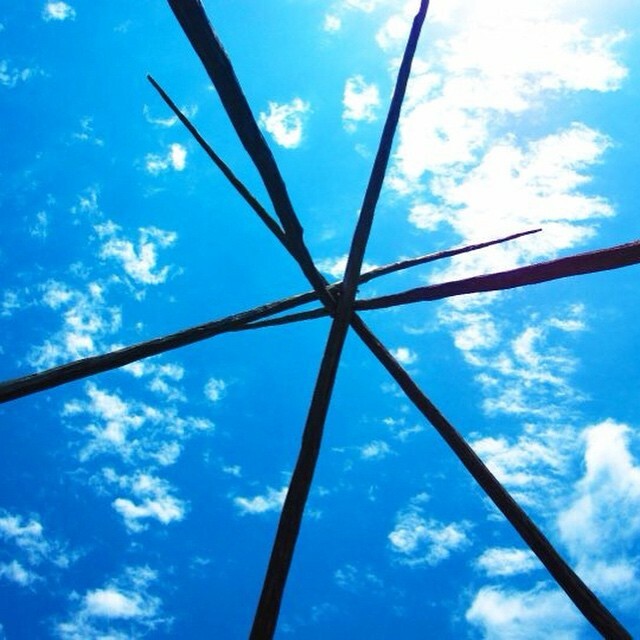 They were also called to a violent argument in Brackaville over who owned what bit of sky for kite flying and for smoke blowing from chimneys into other bits of sky owned by others. A deceased 71-year old former funeral director from Strabane has been fined a posthumous £60 and warned about future conduct after the hearse he was resting in was caught doing 44mph in a residential 30mph zone in the town last night. 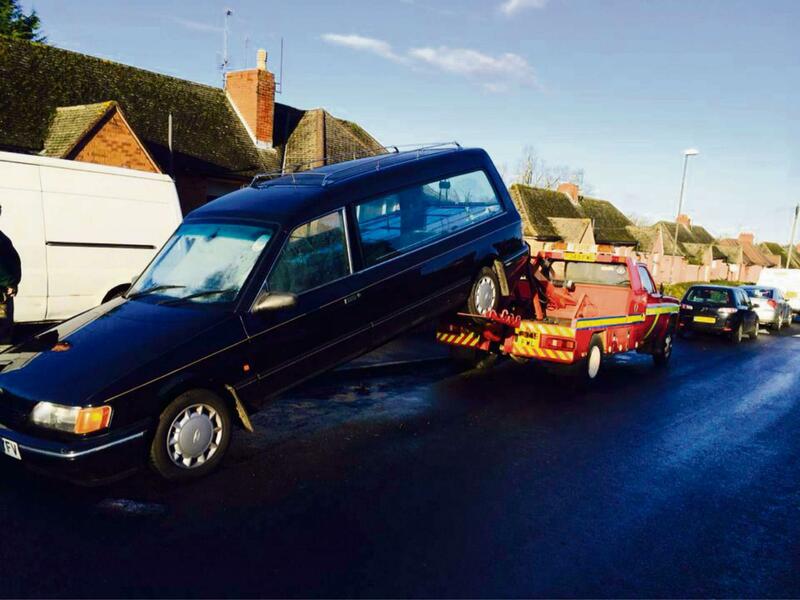 Jeremiah Pauncefoot, who passed away on Monday after a short illness, was making his way to his final resting place in a top-of-the-range solid panelled oak coffin when the hearse he had previously owned was flagged down by a PSNI officer on the Clady Road. The young driver, who had just started work experience at the Pauncefoot Funeral Service, used his dead boss’s licence when asked for ID before finishing the journey and jumping on a boat to England. West Tyrone PSNI spokesman Rory Gilgull has warned undertakers across the county to be on their guard as this is just the start of a clamp-down on funeral directors who think they’re above the law. Jeremiah Pauncefoot’s business has been bought over by his son, Darkness. Following news that the PSNI underspent their annual budget to the value of £14 million, insiders confirmed that a massive Easter party and parade has been commissioned by police headquarters in Dungannon with the The Wolfe Tones reportedly headlining a concert which will round off a five-day session. 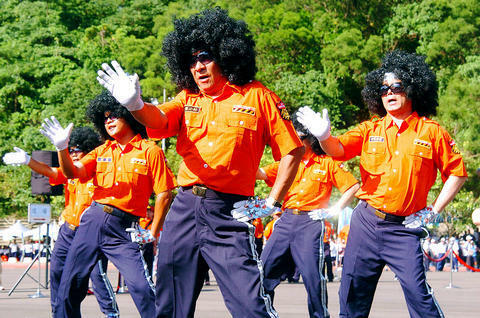 Faced with either handing back the money to the government or receiving a reduced budget next year, officials in the police force have voted to blow the money on beer, chocolate and concerts in the run-up to Easter, as well as male and female dancers. A document leaked to our office catalogues what is planned for the 5-day extravaganza which will be attended by over 4500 police officers on off-duty at various times from April 1st-April 5th. A £300’000 firework display of red, white, blue, green and orange colours. £1 million has also been set aside for a 4000-strong fancy dress party to be held up on Dungannon Hill for police forces across the world with a strict 1980s dress code enforced and music provided by the Village People Tribute Band from Killyman. The SDLP, DUP, Sinn Fein and UUP will all sent representatives to the various functions that week to make sure the money is spent wisely. Drumquin Man Caught Legally Driving Last Night. Parents Distraught. A Drumquin man’s family is blaming modern society after their son was caught with insurance, tax and MOT certificates, good tyres as well as a full tank of clean diesel. Jeremy Maguire, a 26 year old joiner with no convictions since 2008, was stopped by police whilst travelling at 34 mph on the Dregish Road at 9pm on Sunday night for a random spot-check. Onlookers described confusing scenes as police officers were seen nodding their heads in approval while rifling through documents and joking with the driver, at one stage giving a high five to the ex-Drumquin full back soon after the diesel was dipped. Mrs Maguire, who refused to be officially interviewed, blamed modern society on her son’s tendency to stick to the rules and has warned other parents to be careful of the dangers of YouTube and social media. PSNI confirmed this evening that a car was stopped last night in the Dregish area and given the all-clear following a stringent spot-check including an emissions test.